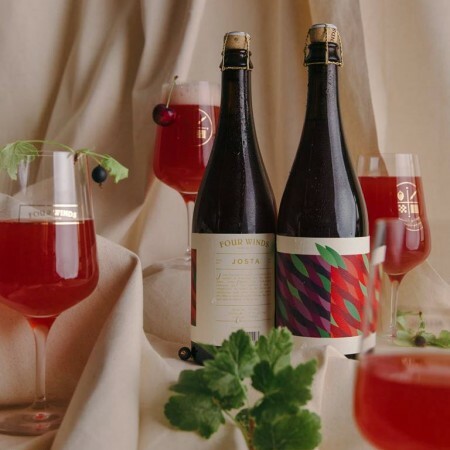 DELTA, BC – Bring Your Porter to the Slaughter reports that Four Winds Brewing has announced the release of a new limited edition sour ale. Josta is a sour ale aged in oak barrels for 8 months on both Sam and Van cherries before being blended with fresh-pressed jostaberry juice. The addition of Brett C compliments the acidity of the cherries and the jostaberries with fruity esters and aroma, providing a sweet yet earthy flavour that pairs well with the tartness of the berries. Josta is available now by the glass and in 750 ml bottles at Four Winds, and is being distributed this week to select private liquor stores.